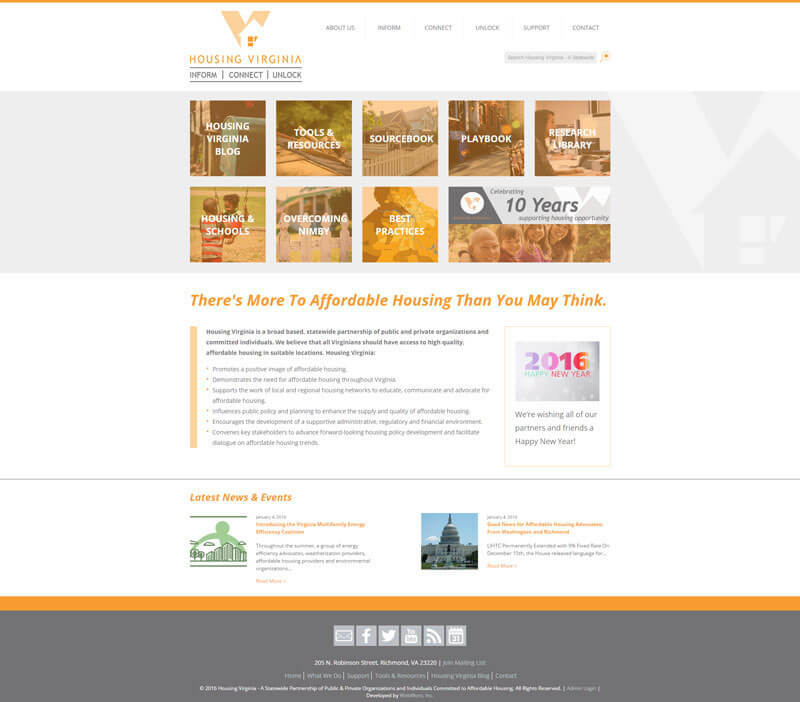 Housing Virginia Website - WebWorx, Inc.
We are pleased to announce the launch of our latest project, Housing Virginia! Housing Virginia provides a variety of services and tools that local and regional organizations may access. These tools are designed to help you make affordable housing more accessible to citizens. You can view the website at housingvirginia.org.